Live Music, International Dj, Aussie 18+ Games, Express VIP Entry, Return Aircondition Bus Transfers, Food & Complimetary Drinks!!! 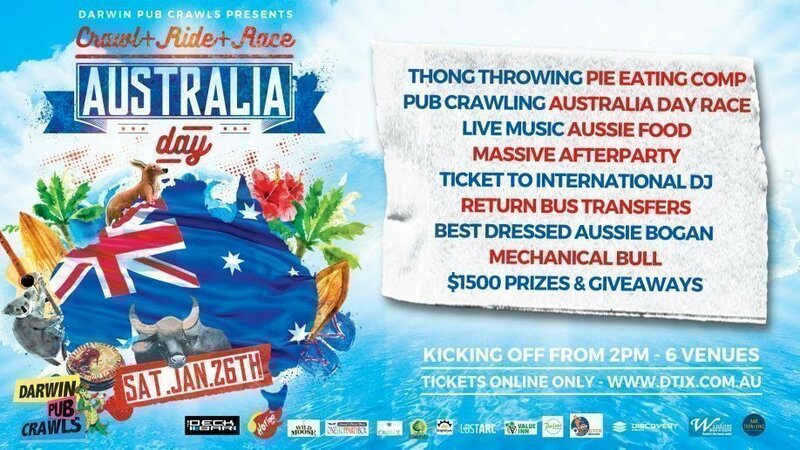 Mechanical Bull at 2 Venues, Pie Eating Comp, Thong Throwing, Beer Pong and MUCH MUCH MORE!!!! Event Notes:This is an 18+ event. ID will be required to be shown on entry. *plus booking fee.